Hunting | A Song for the Horse Nation - October 29, 2011 through January 7, 2013 - The National Museum of the American Indian - Washington, D.C. 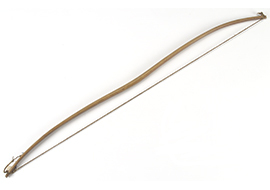 In the early days of buffalo hunting on the Great Plains, acquiring food was a full-time preoccupation. Hunters on foot could track a buffalo only so far. Hunting involved many in the community and took days of planning. There was little time for anything else. 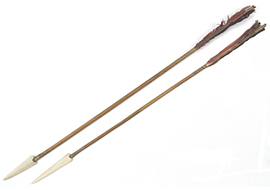 But on horseback, a lone hunter could bring down a buffalo virtually by himself. 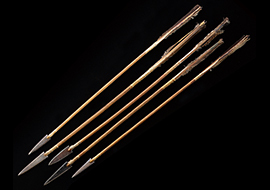 Since tribes could travel farther, access to resources was expanded. 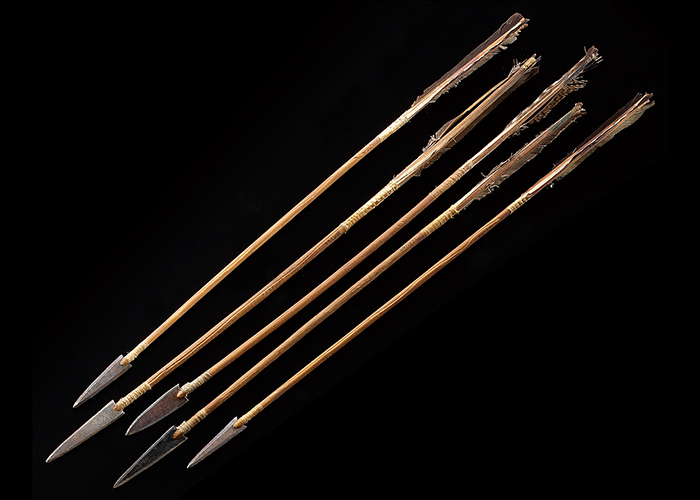 As hunting became easier, the people were better fed, and they acquired more time for art, spirituality, and philosophy. 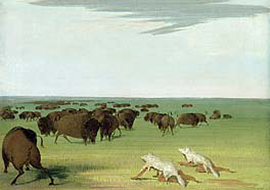 Buffalo Hunt Under the Wolf-skin Mask, 1832–33. George Catlin. 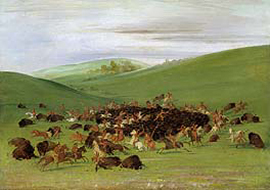 Smithsonian American Art Museum, Gift of Mrs. Joseph Harrison Jr.
Buffalo Chase, a Surround by the Hidatsa, 1832–33. George Catlin. Smithsonian American Art Museum, Gift of Mrs. Joseph Harrison Jr. Without horses, buffalo-hunting required stealth and patience. With horses, a hunting party could quickly surround and capture a herd, or single out an individual animal.